Trust in established institutions is collapsing. Is the much-hyped blockchain a solution, a symptom that will make the problem worse, a fantasy, or something else entirely? Wharton professor Kevin Werbach, author of The Blockchain and the New Architecture of Trust, offers a balanced analysis of blockchain’s potential, as well as its limitations and what it will take to overcome them. He explains how law, regulation, and governance are, surprisingly, essential for blockchain and cryptocurrencies to reach their potential. Kevin Werbach is professor of Legal Studies and Business Ethics at the Wharton School, University of Pennsylvania. A world-renowned expert on emerging technology, he examines business and policy implications of developments such as broadband, big data, gamification, and blockchain. 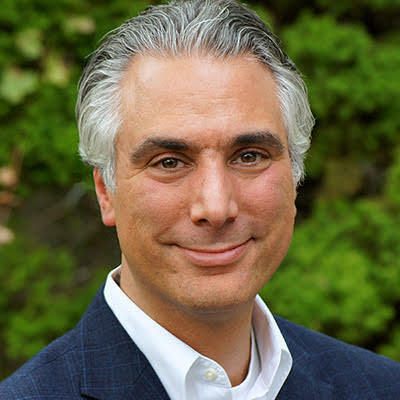 Werbach served on the Obama Administration’s Presidential Transition Team, founded the Supernova Group (a technology conference and consulting firm), helped develop the U.S. approach to internet policy during the Clinton Administration, and created one of the most successful massive open online courses, with nearly half a million enrollments. His books include For the Win: How Game Thinking Can Revolutionize Your Business and The Blockchain and the New Architecture of Trust. Lunch will be served. For any questions, email sierra.bray@usc.edu.